(Newser) – Councilors in New York City are racing to snuff out electronic cigarettes in public places before a new mayor and new council move in next year. 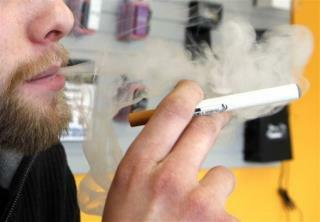 The devices, which emit vapor instead of smoke, have surged in popularity and the council will vote next month on a proposal to ban them in bars, parks, and everywhere else tobacco smoking is banned. "We see these cigarettes are really starting to proliferate, and it’s unacceptable," one of the key backers of the proposal tells the New York Times. "I get reports of people smoking cigarettes in public libraries. Certainly, they’re becoming more common in restaurants and bars." Marlboro could make pink ciggies for girls and blue ciggies for boys. What color should be used for gays? My bet, this is to cover people who vape dab out of g-pens pretending to be hitting an e-cig.